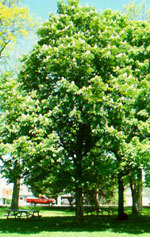 Ash The ash tree can grow to a height of 30m, with a spread of 20m. It is deciduous, with leaves which are divided into 9-13 leaflets which give the tree a feathery outline in summer, and a yellow colour in autumn. The bark on the trunk is a greyish brown, with deep cracks. The distinctive black colour of the buds makes the ash very easy to identify in winter. The buds are often the last to open in the British spring. 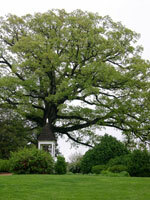 If given the room to grow and spread, the common ash forms a very striking specimen tree, though the lack of undergrowth makes it unpopular among many gardeners. 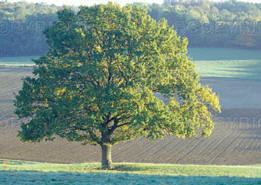 Beech trees can be found throughout Britain and grow to a height of 40m. 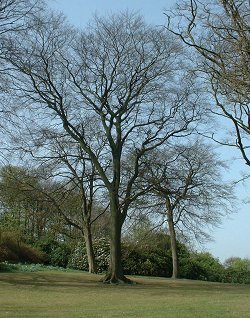 The beech has a smooth silver-grey coloured bark and creates a dense canopy with its leafage. Birch trees can be found throughout Britain and grow to a height of 15m. Silver birches can be affected by a fungus (Taphrina tugida) which causes abnormal clusters of twigs commonly known as "witches brooms". Mountain Ash The tree gets its name mountain ash because it can be found growing at high altitudes. They can be found throughout Britain and grow to a height of 20m. Oak The oak has always been seen as the national tree of England. 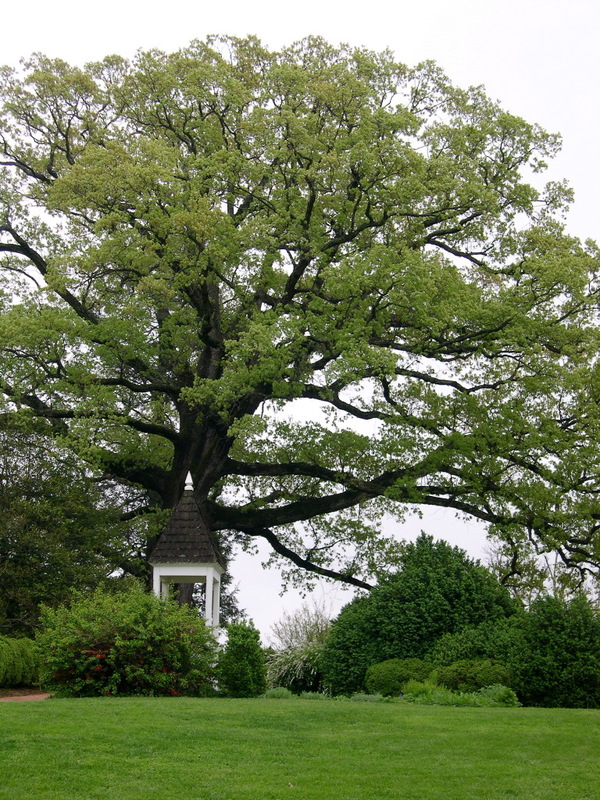 Its great height, age and strength made it the king of the English forest, and a symbol of endurance.